Green-Land’s goal is to give you a gorgeous garden that can be maintained with minimal water usage. Green-Land’s manager, Tovi Richman, is an English speaker with more than 14 years of experience creating and maintaining gardens in and around Modiin. Green-Land’s team of experienced Israeli workers offers garden design, development, renovation and maintenance services at affordable prices. 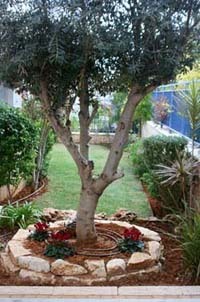 With the assistance of an agronomist and with a focus on water-saving techniques, Green-Land creates and maintains dream gardens.